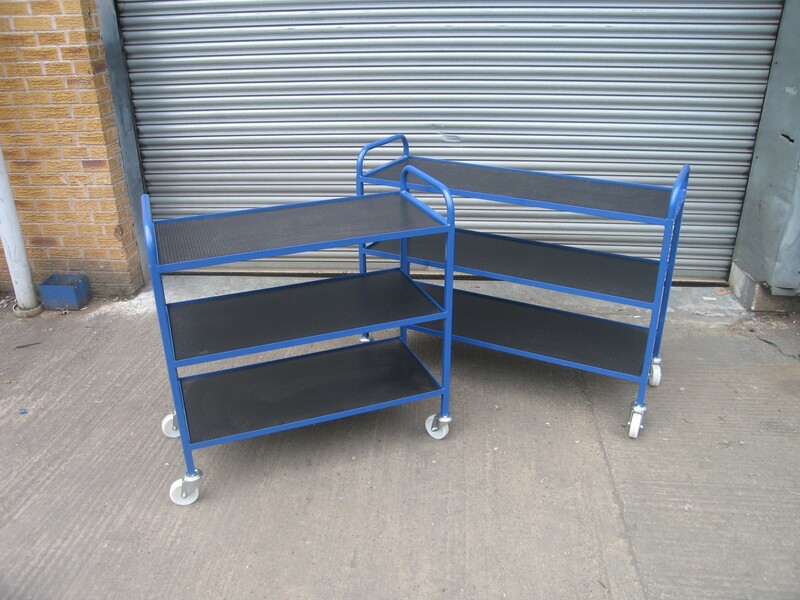 The physics pump trollies have been specifically designed for Repton School to carry a pump or any other equipment within the physics department. They have been manufactured from formed 25mm x 25mm mild steel box section and angle for the main framework and fitted with 12 mm thick dark brown phenolic plywood for the shelves. To maneuverer the trollies have been fitted with 4 swivel castors with 100mm diameter non marking wheels. The trollies have been powdercoated in BS 4800 20 D 45 Ripple effect blue to provide a hard wearing, long lasting finish.